ForeFlight Mobile version 6.3 is now available for download on the App Store. 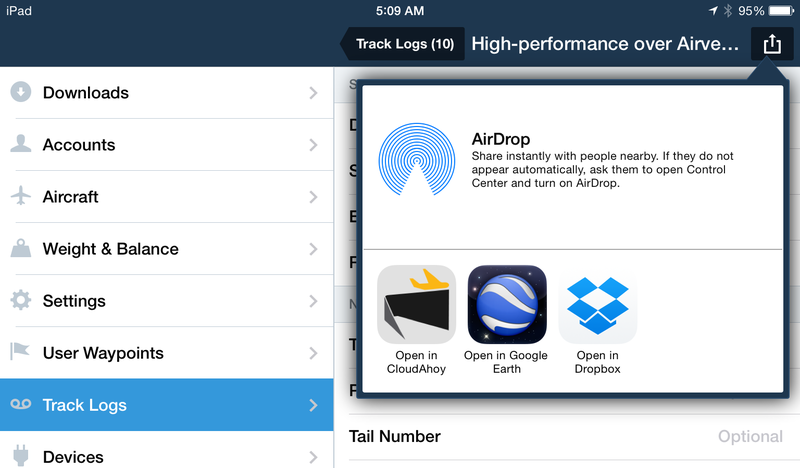 With ForeFlight Mobile 6.3 we introduce Track Log, a cloud-enabled flight recorder that allows you to record and share your flight track and altitude data right from the ForeFlight Mobile app. Track Log is a great way to share your flying with friends and family, as well as a helpful tool for instructors and students to debrief flight lessons. 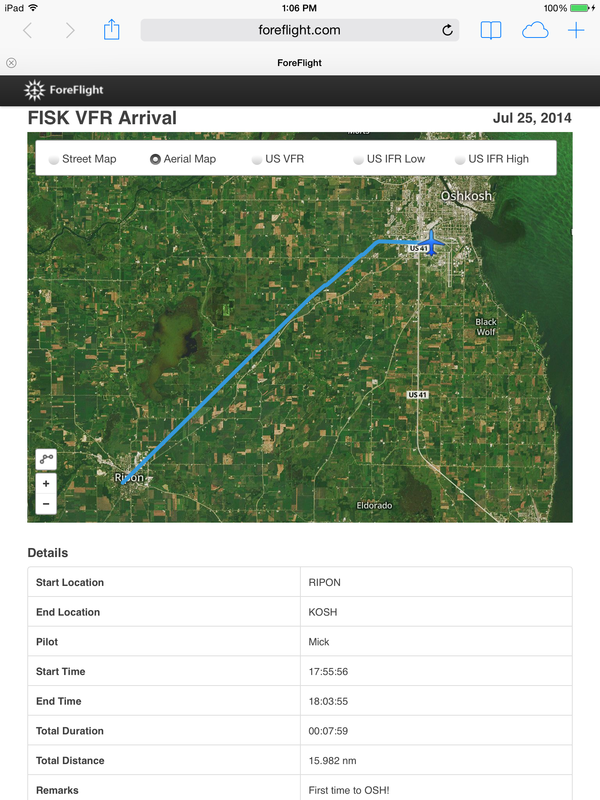 ForeFlight Mobile Track Log shown on Google Earth. 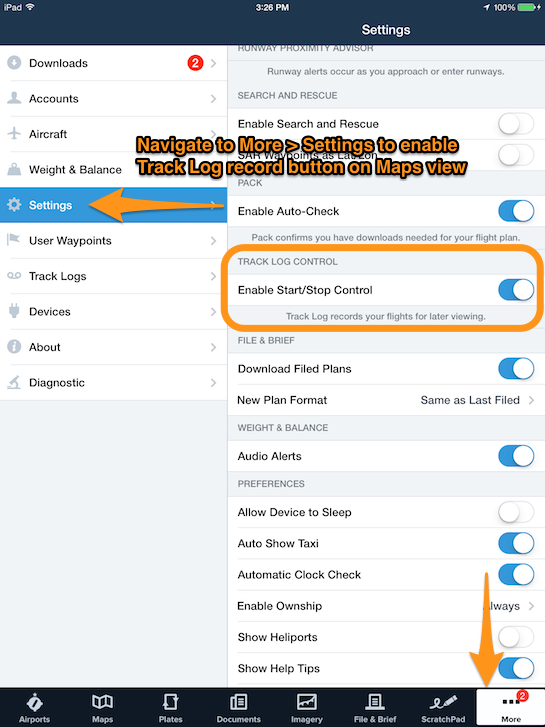 ForeFlight Mobile’s Track Log will record flight track information using any compatible GPS device, including the Stratus 1, Stratus 2, Bad Elf, and the built-in GPS on Wi-Fi + Cellular iOS devices. 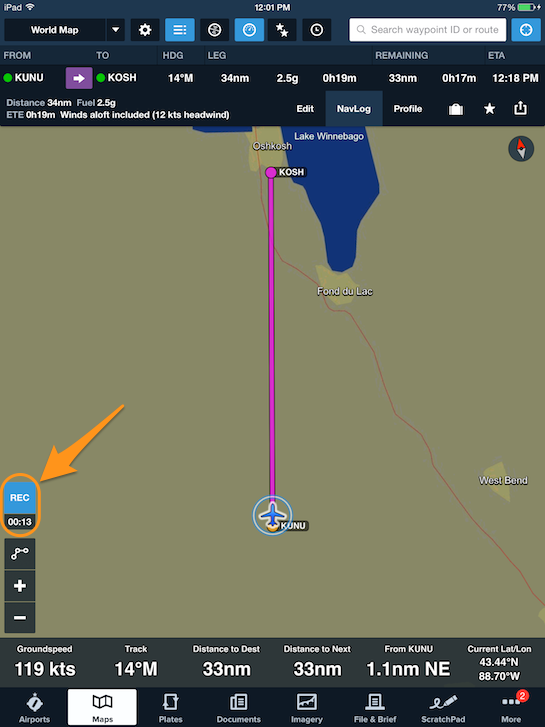 In addition, Track Log can continue to record your flight data while the ForeFlight Mobile app is running in the background (Please note that background GPS is currently not available for Stratus 1 or 2). Enable Track Log in More > Settings by turning the Track Log switch ON. Toggle Track Log record button ON and OFF in the More > Settings view. Recording is easy using the start/stop record button on the Maps view. When you are ready to start recording your flight simply tap the REC button on the lower left edge of the Maps page. The button will highlight and the timer will begin to count up indicating that recording is underway. The Track Log record button is located in the lower left of the Maps view. To stop recording tap the REC button again. The blue highlight will disappear and the timer will stop counting. The flight data is automatically added to the track log list in the More > Track Logs view. Each flight you record is listed in the Track Logs view. Tapping on an entry reveals the details of your track. 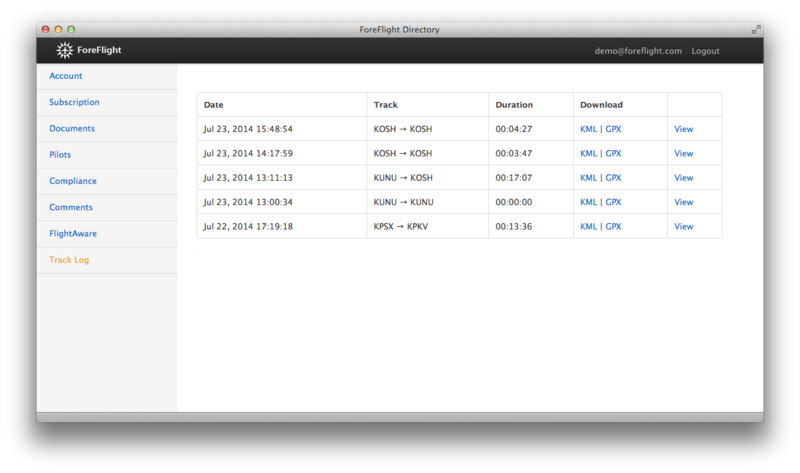 Recorded flights are automatically logged in the More > Track Logs view. On the detail view you can further customize the entry by adding a track log name, pilot name, tail number or other notes. In the track log detail view you can modify flight details and access share options. To share your flight via email or social platforms, or access it via your online ForeFlight Manage account, you’ll first need to upload the track log to the cloud. To do this, tap on the cloud symbol in the Track Log list view for each flight you would like to upload. Tap the cloud upload button to enable your track log to be shared. Once in the cloud, your track information becomes available to share via a web link or access in your ForeFlight.com/Manage web app account. Log in to foreflight.com/manage to view and export Track Log files. Each track log can be exported to a sharable web link for posting to Twitter, Facebook, or sending in an email or text message. Tap on the Send To button in the upper right for share and export options. 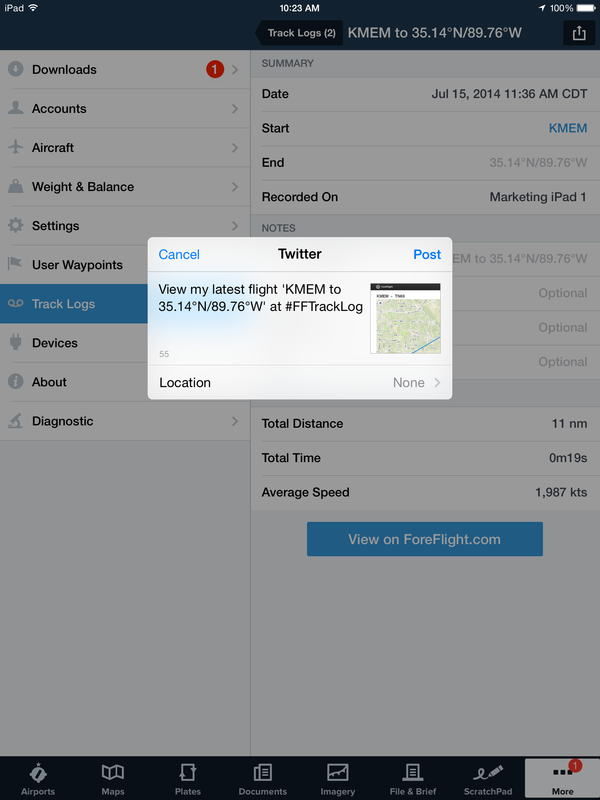 This view shows a Track Log in preparation to share on Twitter. 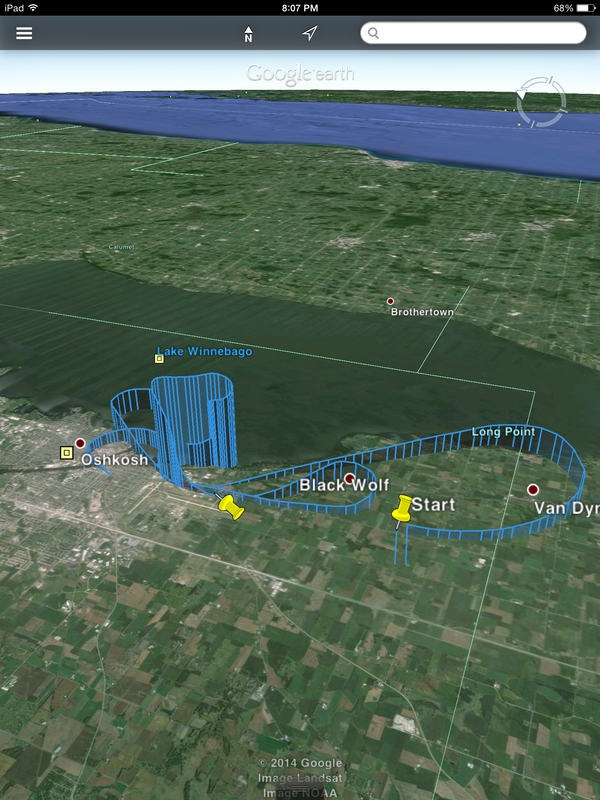 The sharable link generates a snapshot of the flight overlaid on a base map view. Track Log sharable web link view. Your flight track can also be sent to and viewed by compatible apps that you have installed on your iOS device, like Google Earth and CloudAhoy. Tap the Send To > Open in.. option to access compatible apps. Track Log is also integrated with ForeFlight Mobile’s Sync feature, so flight track information recorded on one device becomes available on the other devices signed-in to your ForeFlight Mobile account. Login to your ForeFlight.com/manage account to export your flight track as a KML or GPX file, a common file type that can be imported by third-party applications like Google Maps, Google Earth, and other mapping engines. For operators, Track Log has additional capability that allows them to aggregate track logs and analyze them in support of AC 120-76C, which provides guidance for authorization of airport moving map and requires collection analysis of GPS data for presentation to the FAA. 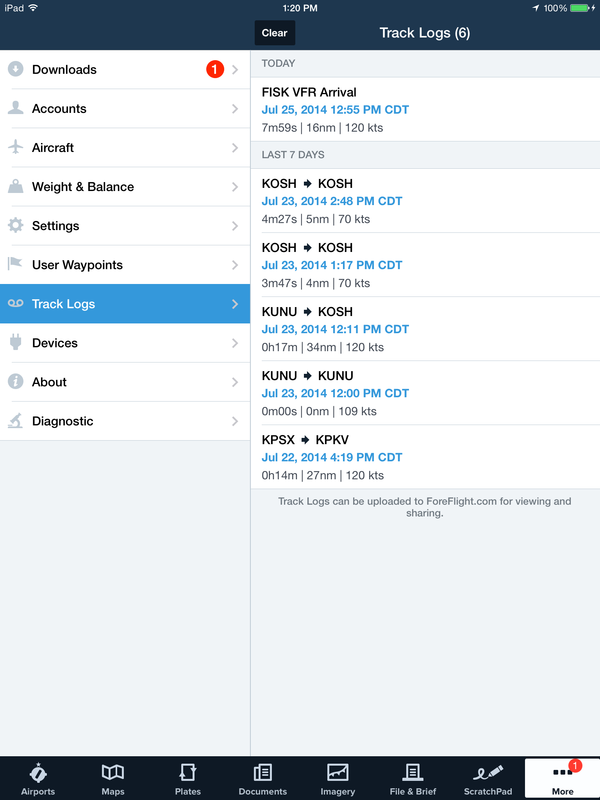 Track Log can be used on the iPad and iPhone and is a ForeFlight Mobile Standard feature. 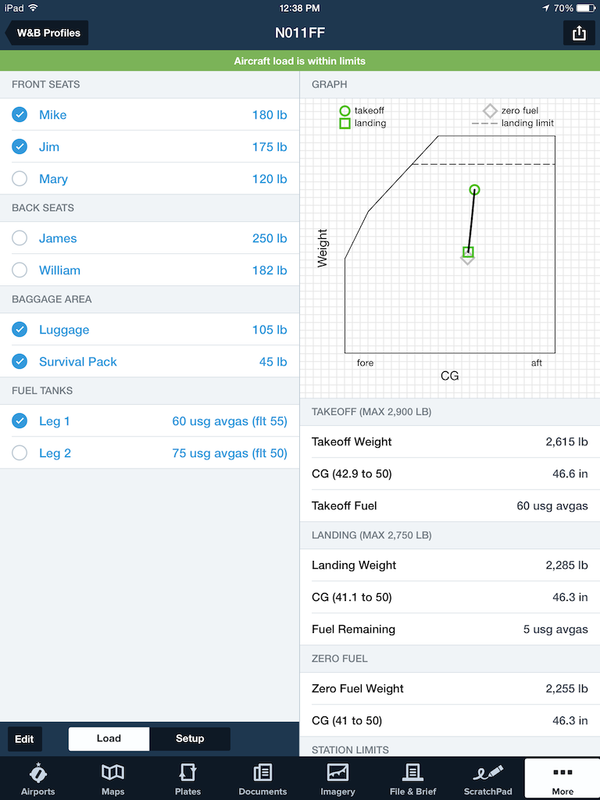 ForeFlight Mobile version 6.3 introduces an in-app weight & balance solution. Weight & Balance comes pre-loaded with over 100 aircraft models for easier setup. ForeFlight Mobile’s smart interview wizard prompts you through the setup based on FAA Type Certificate Data Sheet and Service Bulletin records. We continue to add more aircraft to the library. 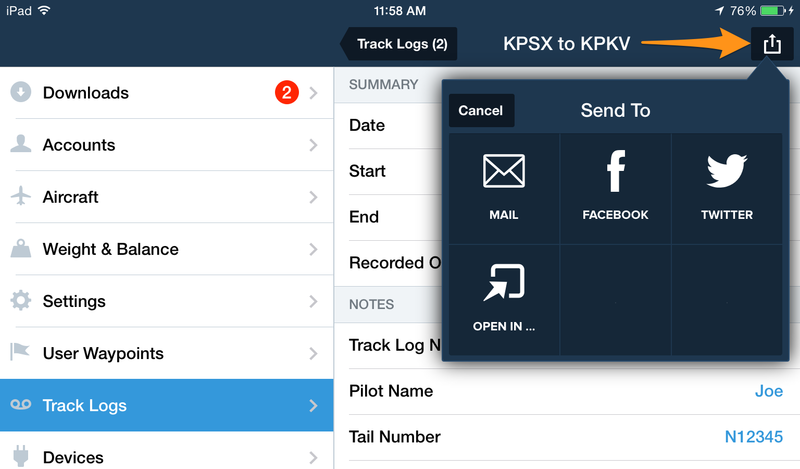 Customize aircraft setup and loading with ForeFlight Mobile’s in-app weight and balance. You can maintain an unlimited number of weight & balance profiles, including multiple configurations for the same aircraft. Weight & Balance allows you to quickly analyze last minute loading changes and will color highlight any parameters that are outside the aircraft’s envelope. Operators can also export load summaries for required reporting. Weight & Balance is accessible on both the iPad and the iPhone and is a ForeFlight Mobile Pro feature. 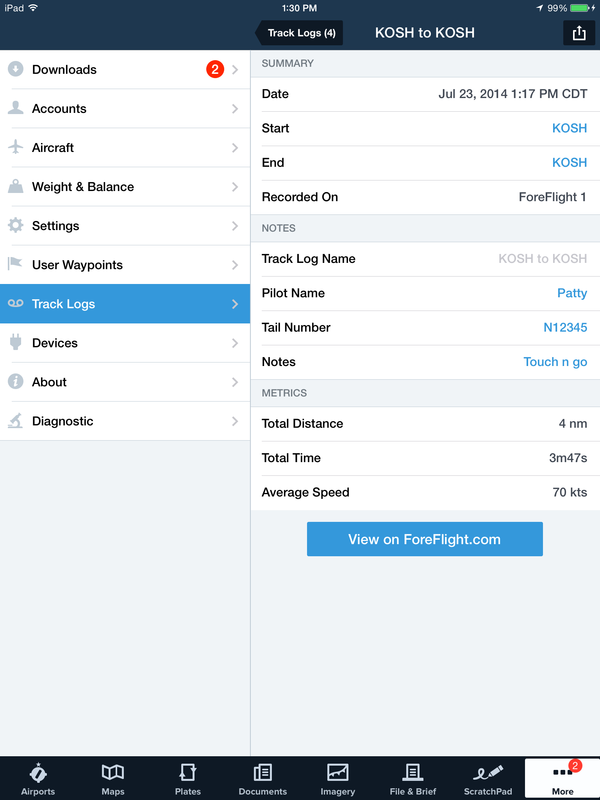 Refer to our ForeFlight Mobile Weight & Balance Guide for complete how-to on this new feature.